Monday Musings…Books Coming Out in October! Sometimes the courage to face your greatestfears comes only when you’ve run out of ways to escape. At the end of a long night, Elizabeth leans against the industrialoven and takes in her kingdom. Once vibrant and flawless, evenings in thekitchen now feel chaotic and exhausting. She’s lost her culinary magic, andbusiness is slowing down. When worried investors enlist the talents of a tech-savvycelebrity chef to salvage the restaurant, Elizabeth feels the ground shiftbeneath her feet. Not only has she lost her touch; she’s losing her dream. 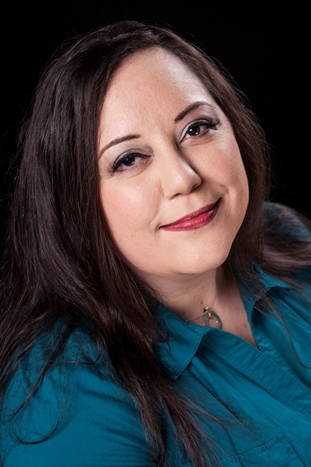 When her mother died, Elizabeth fled home and the overwhelmingsense of pain and loss. But fifteen years later, with no other escapesavailable, she now returns. Brimming with desperation and dread, Elizabethfinds herself in the unlikeliest of places, by her sister’s side in Seattle asJane undergoes chemotherapy. 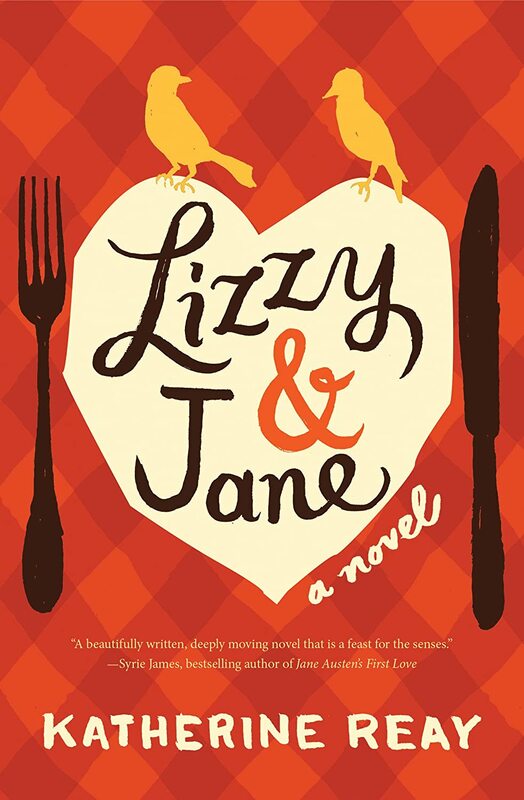 As her new life takes the form of care, cookery, and classic literature,Elizabeth is forced to reimagine her future and reevaluate her past. But can aNew York City chef with a painful history settle down with the family she onceabandoned . . . and make peace with the sister who once abandoned her? Which one are you interested in reading? I’m looking forward to them all, but super excited about Katherine Reay’s new novel. 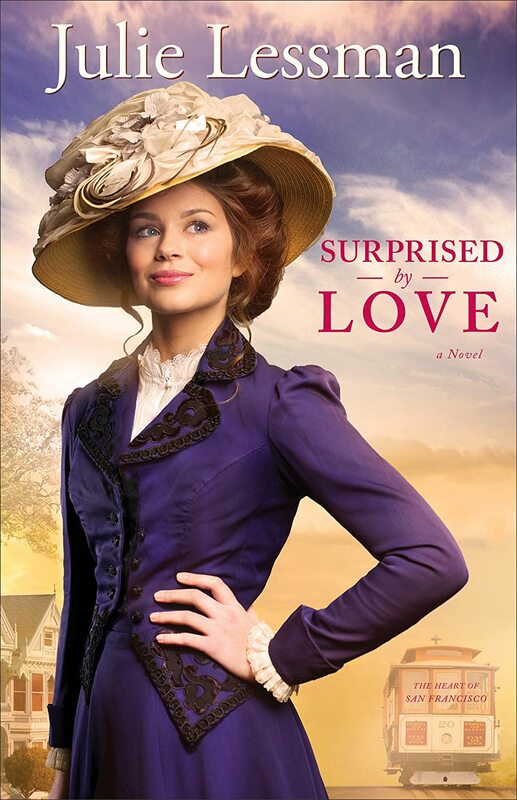 Interview of Nancy Kimball + Giveaway! Thank you for willing to be interviewed! My pleasure. I’m always happy to connect with other authors and readers. Especially about this novel which is so close to my heart. What inspired you to write Chasing the Lion? The absolute worst season of my life. At the time the rug had been yanked from beneath me, my personal and spiritual life were in shambles, and I was floundering, in spite of the tremendous love and support from close family and friends. Through a God-thing, I heard about NaNoWriMo where novel writers pledge to write a book in a month. It was a big, crazy, goal but I’d always wanted to write a novel and more importantly, wanted to prove to myself that I could still set my mind on something and accomplish it. At a little café on my lunch break, I brainstormed all the things I love and maybe the story I wanted to tell in the process. The movie Gladiator, the computer game ROME: Total War, and the story of Joseph from the bible began to swirl in my brain until I had one question looming. What if Joseph, when his brothers sold him into slavery, and things started going from bad to worse for him, what if he hadn’t remained faithful to the Lord? Would God have relentlessly pursued Joseph to accomplish His greater plan, or simply raised up another in Joseph’s place? And out of that question, I saw a young man—with a divine purpose for his life but struggling with his identity and making sense of his circumstances. A man who would endure an epic journey to answer that question—if our hero abandons his faith, what happens then? How far will the Lord pursue him, and how? This emerging character, a young Roman noble betrayed into slavery, would become the man readers know and love as Jonathan Tarquinius. 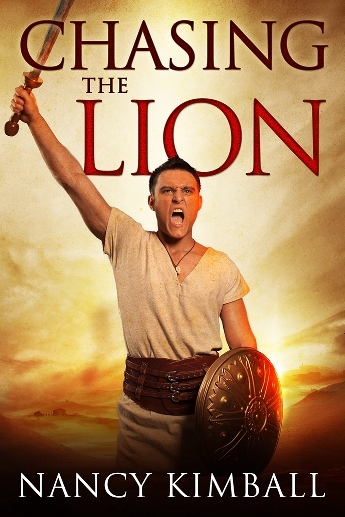 Chasing the Lion takes place in historical Rome, how much research did you have to do? Specifically for the book about a hundred hours over six months. It was a wonderful time for me to explore more deeply a time period I already loved. Gladiator research had to be done separately and I found that so fascinating. There are many commonly held beliefs that are actually myths about gladiator history, such as every battle was a fight to the death. Shining light on some of those facts, when it could be done naturally within the story without becoming a history lesson, was very fulfilling as an author. I wanted to be historically accurate and reflect the time period well, but never at the expense of sacrificing the pacing or focus of Jonathan’s story. What character surprised you the most as you wrote Chasing the Lion? Caelina. A fiercely independent and stunningly beautiful prostitute—the highest priced pleasure in all of Rome. (Or so she thinks until Jonathan sets her straight. 😉 I didn’t even have to think about that one. She was intended to be a minor character to show the dynamic of the relationship between my hero and one of his masters, and how my hero fared in the face of temptation. And then slip quietly away. Well she wasn’t having it. I thank the Lord for that because Lion is as strong a novel as it is, in part because of her. What novels/authors would you consider to be great influencers of your writing? Shane by Jack Schaeffer. This is the first novel I remember reading as a child that made me care about a character as much as I did my own family. He was that real to me. I reread this book every few years. Redeeming Love by Francine Rivers, The Lion of War Series (King David and the Mighty Men) by Cliff Graham, and Making Faces by Amy Harmon. Can you tell us anything about book two? Absolutely. Remember Caelina? Well she’ll be back playing a much larger role as Jonathan’s journey continues in Charging the Darkness. Old enemies will return, a new threat to our hero and to Rome will emerge. Through it all God will relentlessly pursue yet again the one lost sheep, proving once more His unfailing love and mercy, and that there is no life ever too far gone for the Lord to redeem. If this book has captured your fancy (and I hope it does! ), there’s an opportunity for you to win your own copy! *Note, they will be ecopies. All you need to do is leave a comment below with your email address. The giveaway ends three weeks from now on October 19! The winner will be randomly selected. If you win, you have 48 hours to respond to the notification before I will choose another winner. Happy Reading! While she attempts to rebuild her life, Katie’s plan to manage the family’s theater meets a devastating obstacle, dragging her into a legal battle that will rock her small town. And the boy who once broke her heart seems to have the power to do it again. 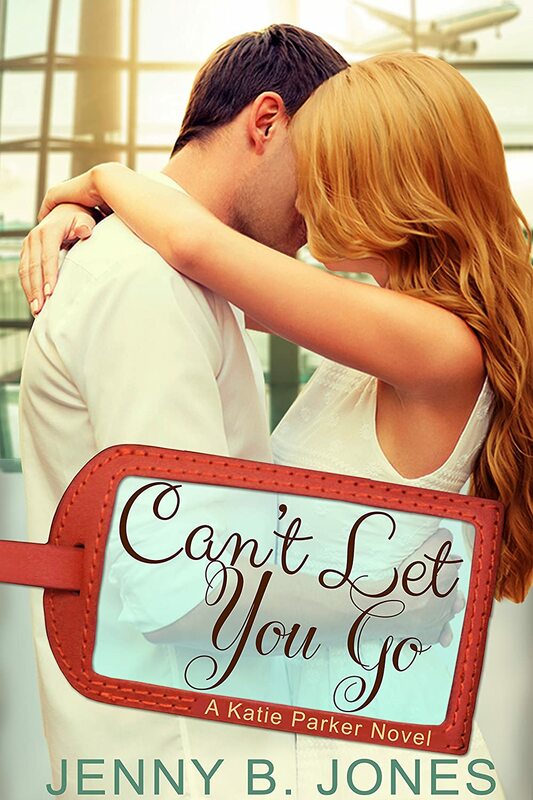 As Charlie’s secrets unravel, Katie must make a choice. 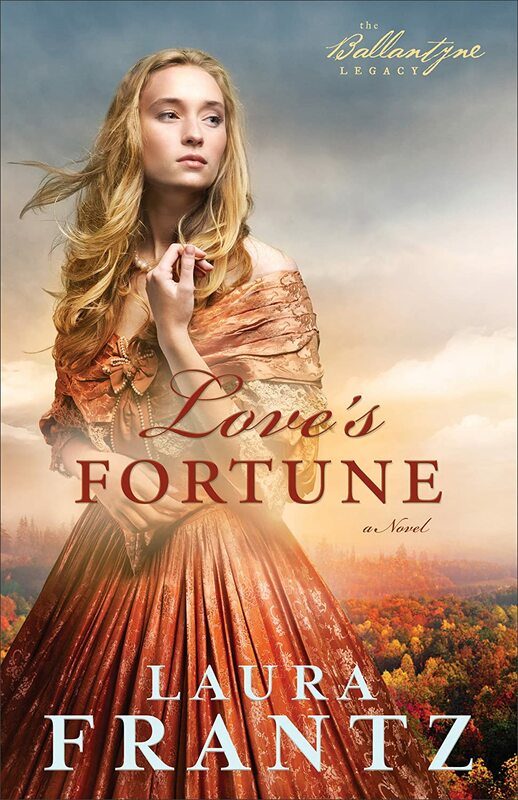 Can she overcome her past and trust Charlie with her heart again? Being back with Katie and Charlie. I will admit to rereading the last Katie Parker book so that I would be ready for this novella, but honestly it was like being amongst old friends. The romance. I love that it doesn’t take long to get started and I found myself rooting for them from the start. I was also beyond thrilled that Katie and Charlie didn’t pretend like they didn’t care about each other and that their history wasn’t completely erased. Humor. This book is funny and filled with Ms. Jones’ trademark humor. You laugh from the first chapter until the very end of the book. Characters. The secondary characters in this novel are amazing.Their personalities are so strong (Maxine anyone). Spiritually, there is a great theme of not letting your fear run your life, but your faith. There were times I wanted to shake Katie. I didn’t always like the way she treated Charlie. Overall, a wonderful addition to the Katie Parker series. So much fun to read. This past weekend I had the pleasure of going to Newport, RI to see my sister be commissioned as an officer in the Navy (woo hoo little sis!). After the festivities were over, we decided to do touristy things. And in Newport one of those touristy things are touring the mansions. I had so much fun walking around those rooms, mostly because it felt like the books I read that take place in the late 1800s (aka The Gilded Age) had come to life! The name of the house we toured was The Breakers, which was a summer home for the Vanderbilts. And so it all got me thinking, how important is the setting really? I think it comes down to the type of novel being written. In contemporary novels, setting is not as important (unless you’re writing about a country or area you’ve never actually been, because then there can be problems). Setting really comes into play for historical novels, gothic novels, and fantasy novels. With all of these, I think its very important that the author strives to be accurate, but there is a fine line between being accurate and giving out too much information. Nothing worse than a lost reader or a reader who just plain doesn’t care (after getting lost so many times). A house like this is a character itself….it had 70 bedrooms! And so I ask you, how important is setting to you? The Writing. The book captured me from the first page. I was immediately invested in James Sackett and Wren. Sometimes you just know from the first few lines of a book whether it will hold your attention and I just knew. Furthermore, Ms. Frantz’s writing is just beautiful to read, her metaphors are almost like poetry at times. The historical facts. They’re interwoven so beautifully, that you don’t feel like you’re in school, and yet at the same time I had a great appreciation for the research that the author had done. Wren. I loved how straightforward she is. She’s not timid, she doesn’t beat around the bush. With the exception of the last chapter, I loved her. The setting. Pittsburgh becomes just as much a character as the people in the book (all three books for that matter). The romance. I like that it was slow in developing and yet you knew that there was instant chemistry from the start. I liked that they are such opposites, and you can see that really play out between them. There’s a really great scene, that’s both simple and full of romantic tension, which I think is a trademark of Ms. Frantz. Spiritually, there’s not exactly a theme, but the characters pray and seek God throughout the novel. The romance. Only because once I hit about 87% on my kindle, I thought the romance dragged on, in the since that people were making bad decisions that I knew would have to be corrected and I was thinking just get together already! Overall, I really enjoyed this book. For me, I liked it better than the second one and didn’t want to put it down. If you haven’t started this series, you should! Do you like Novellas? Generally speaking, I don’t. I run from novellas. Why? Because their short. I can never really justify spending money on something I know will take me only an hour to read. And let’s say the novella is good. Let’s say its awesome. If that’s the case, then I usually want more, but I can’t get more because it’s a novella. 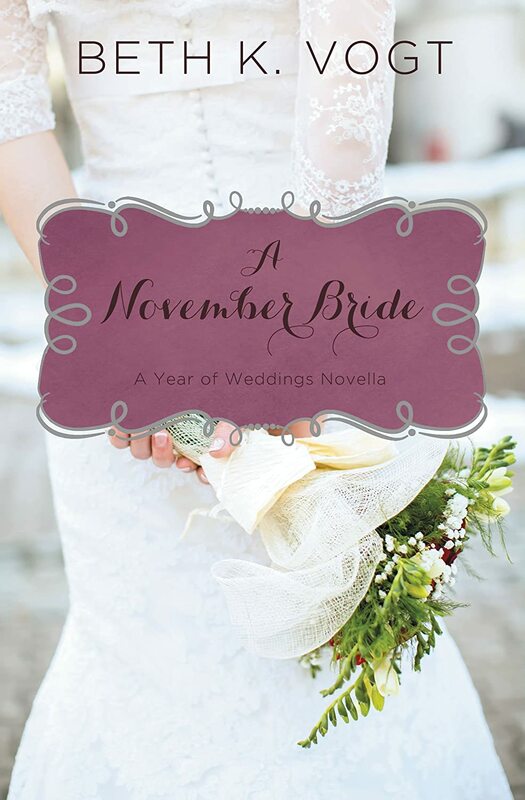 But, there are a few exceptions: if the novella is a prequel to another novel, the novella is the point of view of one character from an already fuller novel, or the novella is about another character or couple that is featured in a full length novel. Otherwise in my opinion every thing happens too fast. Thoughts? the love that inspires him to survive. For ten year-old Jeremiah Prins, the life of privilege as the son of a school headmaster in the Dutch East Indies comes crashing to a halt in 1942 after the Japanese Imperialist invasion of the Southeast Pacific. Jeremiah takes on the responsibility of caring for his younger siblings when his father and older stepbrothers are separated from the rest of the family, and he is surprised by what life in the camp reveals about a woman he barely knows—his frail, troubled mother. Amidst starvation, brutality, sacrifice and generosity, Jeremiah draws on all of his courage and cunning to fill in the gap for his mother. Life in the camps is made more tolerable as Jeremiah’s boyhood infatuation with his close friend Laura deepens into a friendship from which they both draw strength. I was initially hesitant to read this book because I realized the protagonist was a child (hence no romance) and I thought it would be reminiscent of the film with a young Christian Bale, Empire of the Sun. A good movie, but not one you want to watch over and over again. But, I was reminded of something: a) I love history, even the ugly parts and b) the moment I fell in love with reading. I will never forget the first time I got lost in a book, and the author who had written that book was Sigmund Brouwer. It was the Accidental Detectives series, specifically, The Mystery Tribe of Camp Blackeagle. I read and reread that series well until my teen years. And so I thought, if there’s any author who can make me fall in love with children, it’s Sigmund Brouwer. And he did. Jeremiah Prins. I loved this kid from the very first page with him on it. He’s only ten, but he’s the brightest ten year old I’ve ever come across. And he was bright in a time when you needed all of your wits around you. He’s funny, charming, thoughtful, and I wish I could have known the man. The history. I knew very little about the Dutch in the Dutch East Indies during WWII and I learned a lot with this book. My respect and my heart went out to them. The characters. Though Jeremiah stole my heart, I found myself invested in each child (and adult) that came across his path (well, almost each child). The writing (or the story). I stayed up well past my bedtime trying to see what would happen next. I found the book to be completely captivating. Spiritually, this novel shows people with great faith in those camps and people who often doubted. I thought it was portrayed realistically and I learned a thing or two about what it means to really have faith. Sometimes Jeremiah gave some long explanations as to why things were the way they were, and so I skimmed so I could find out what actually happened next. The Ending. Let me just clarify and say that nothing in the camp bothered me for the simple reason that I was ready mentally for anything (and I say this because some things are revealed when Jeremiah is an old man). No, what bothered me, happened after the camps. I hope this isn’t spoilery, but it might be just a bit. But for me the ending was like Mockingjay at the end of the Hunger Games series, or the last couple chapters of Ender’s Game. I guess it’s a happy ending, but mannnnnnn, I wanted so much more for the people I had fallen in love with. Romantic Scale: N/A because their children, and yet there still manages to be a romance, and a very sweet one at that. Overall, I’m very glad I read this book. I haven’t been able to stop thinking about it. I’ve discussed it with my military father, and had there been a movie I would have watched it. 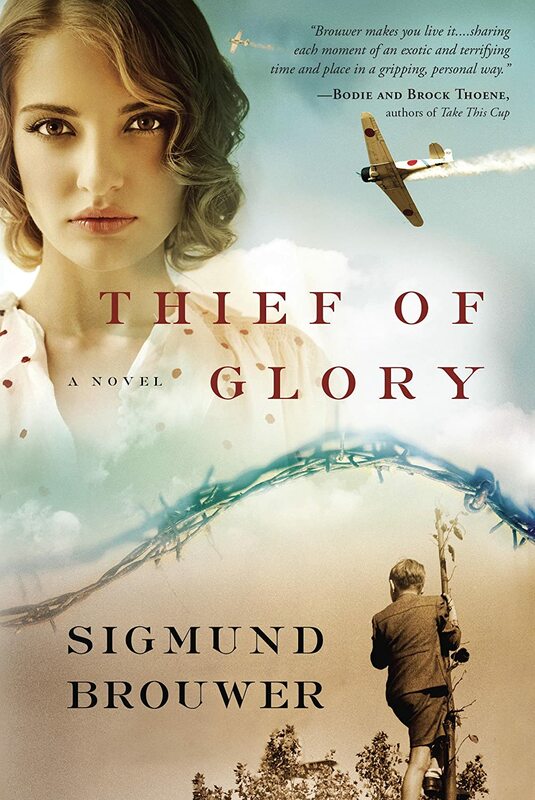 If you love historical novels, you will love this book.